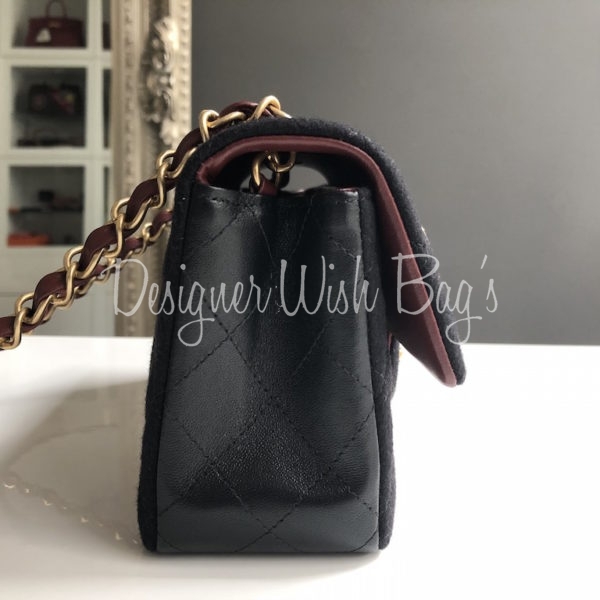 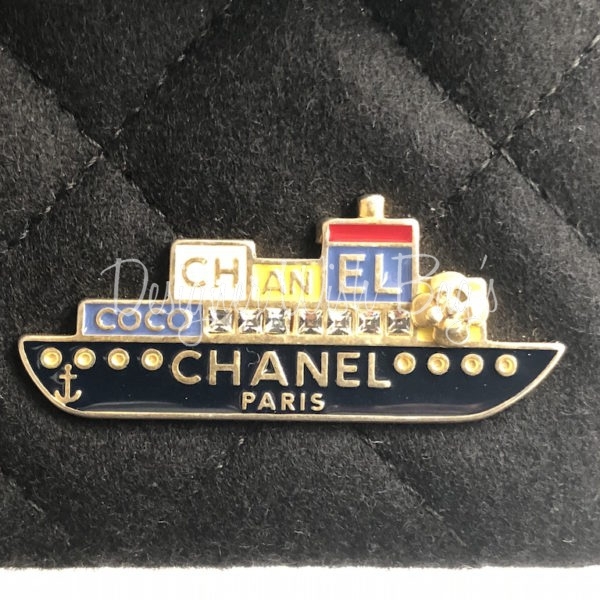 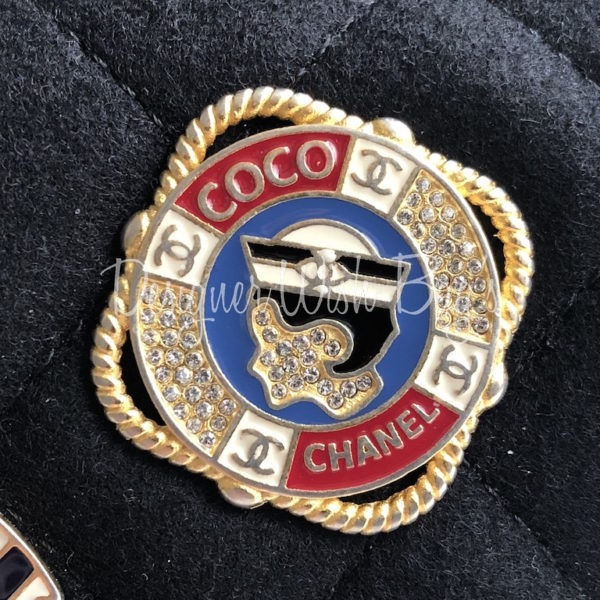 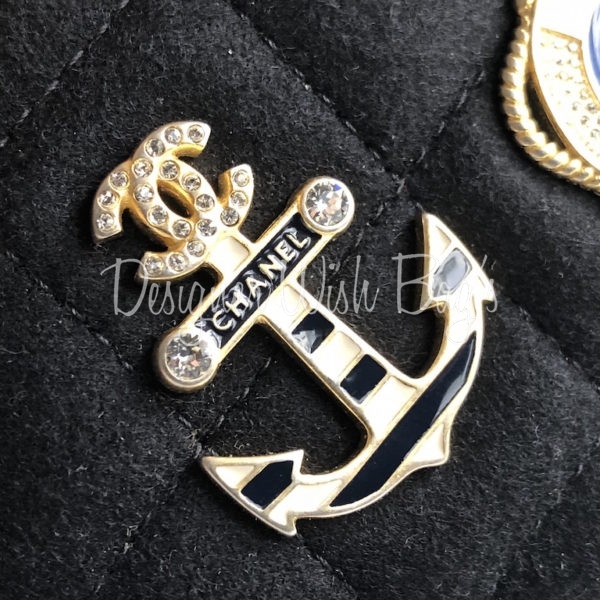 Chanel Mini Rectangular Charms from The Cruise Collection 2018. 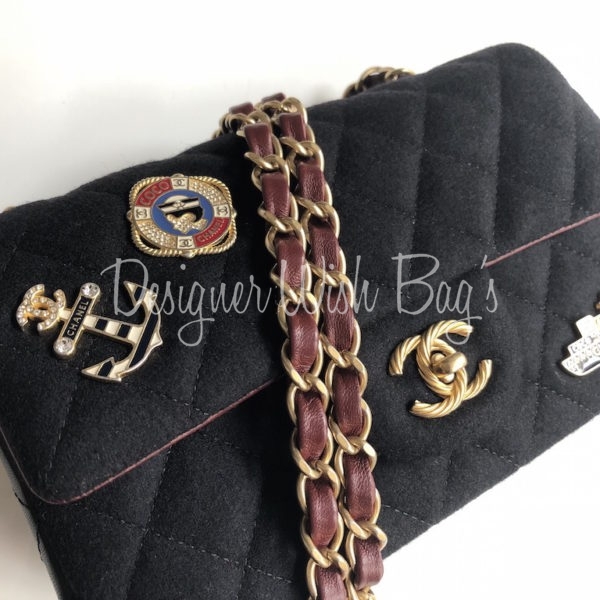 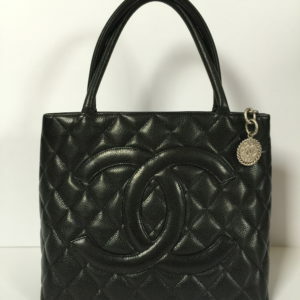 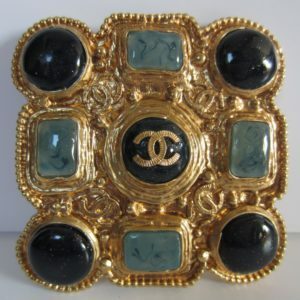 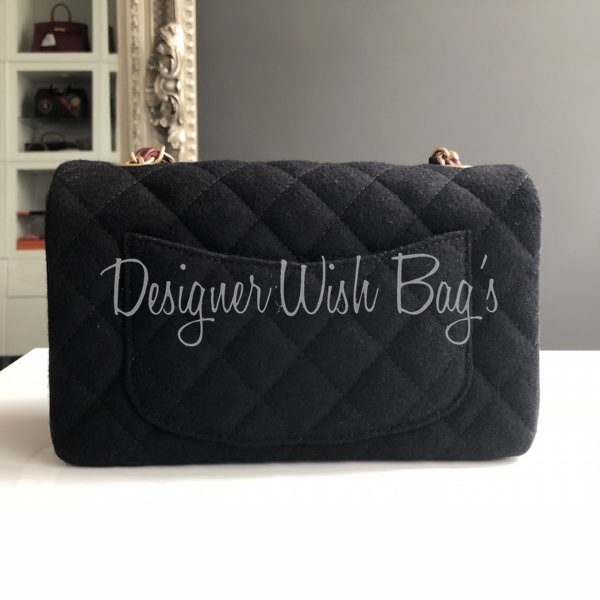 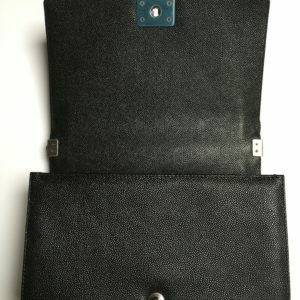 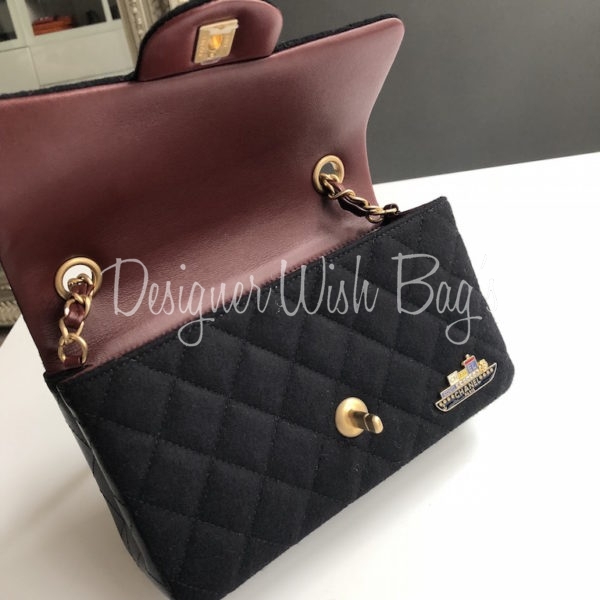 Luxuriously made from wool and black lambskin outside with 3 Chanel brooches and aged gold hardware. 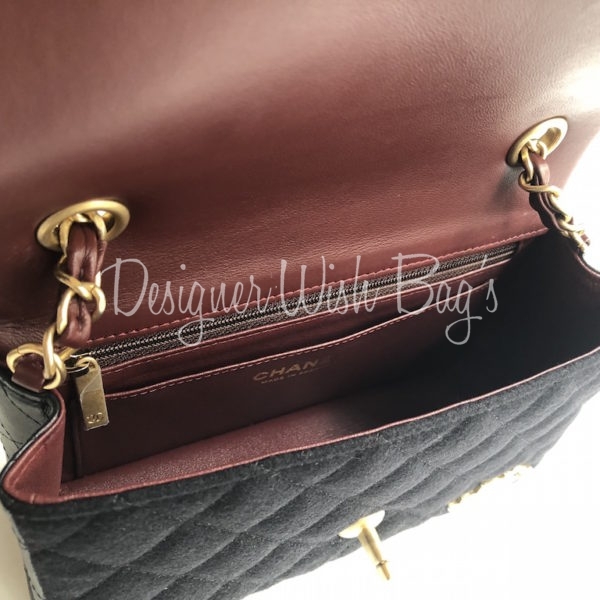 Fully lined with burgundy lambskin. 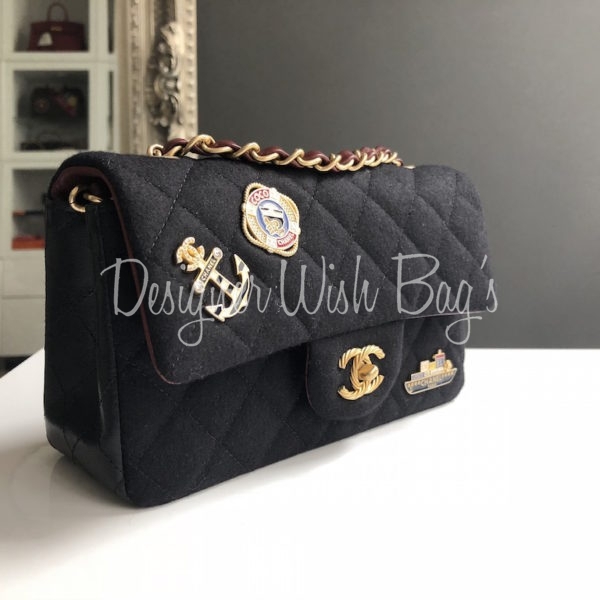 Perfect cross body bag. 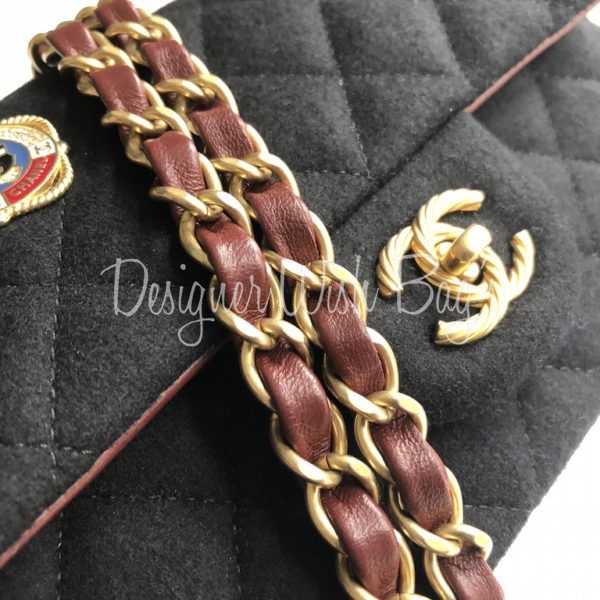 Chain strap drops 120cm. 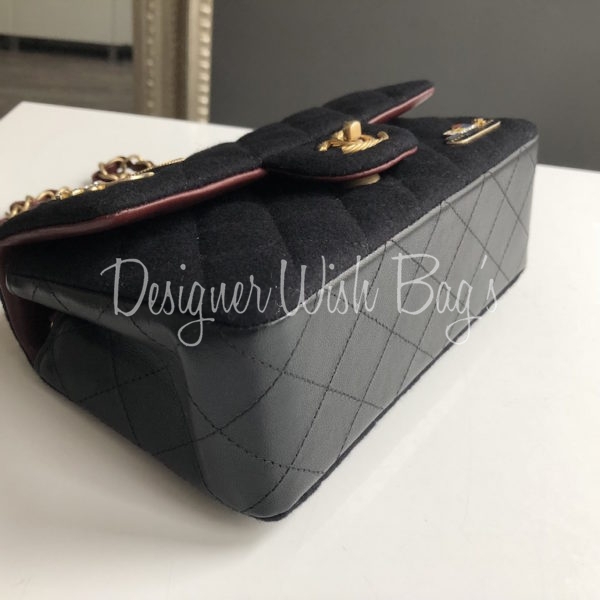 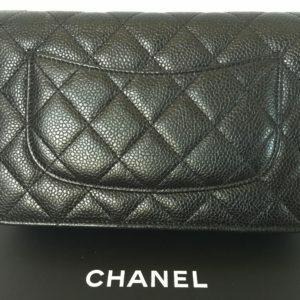 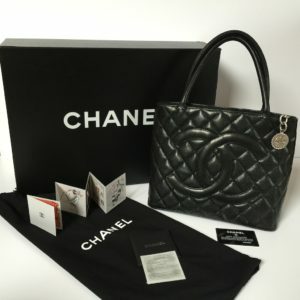 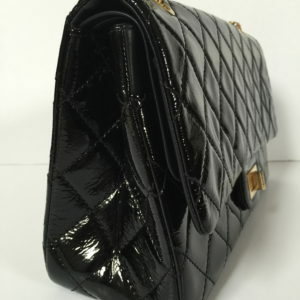 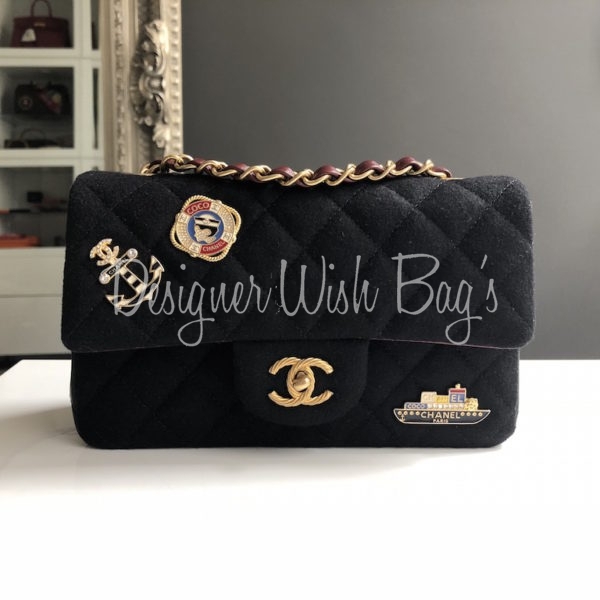 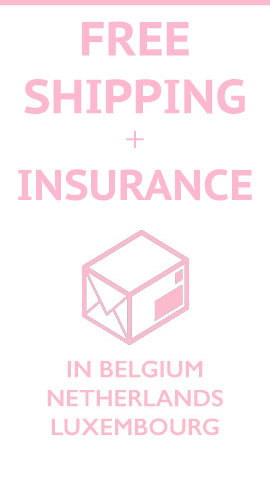 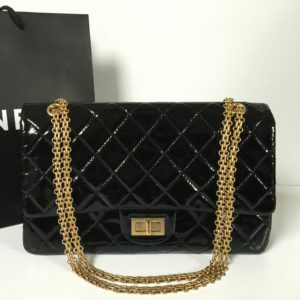 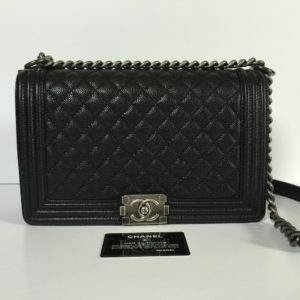 Will be delivered with full Chanel set: Box, dust bag, authenticity card, booklets, care glove and original receipt from 06/2018.